27 | November | 2017 | Normative Signs: The Poetry of "Ought"
Two things come to mind with regard to this straightforward sign. 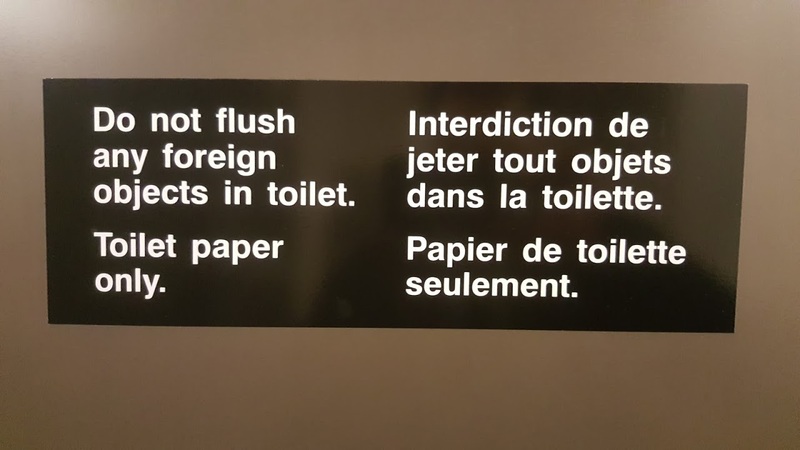 1) It seems like a perfectly reasonable request—provided you have a clear understanding of what “foreign” means in this context. Thanks to Charles for contributing this image (which is from an office building of Canada’s federal government).